The numbers are impressive: An astounding 26 World Series titles (and counting). 21 MVP awards. Countless statistical milestones, many of them courtesy of the game's greatest slugger (Babe Ruth). Two Triple Crown winners (Lou Gehrig and Mickey Mantle). Baseball's most fabled record (Joe DiMaggio's 56-game hitting streak). Four of the winningest skippers — Miller Huggins, Joe McCarthy, Casey Stengel and Joe Torre — the game has ever produced. But the numbers alone don't do justice to the impact that the Yankees have had and continue to have on their legion of fans. What takes place within the storied confines of the House that Ruth Built is more than simply a game; it's a way of life. The monuments that stand just beyond the center field fence at Yankee Stadium bear witness to the decades of excellence that have inspired all of us ever since players first donned the pinstripes. 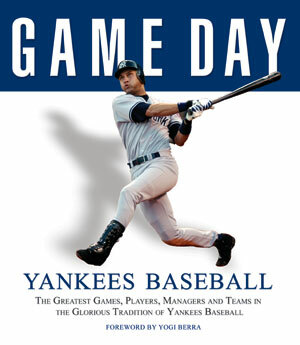 Game Day: Yankees Baseball is a celebration of that tradition of excellence, and of the men who helped to weave Yankee tradition, and the game itself, into the American fabric.